Losing out on promotion to the Premier League in a Play-Off final defeat is tough to take for the players and of course the fans of any football club. For Aston Villa, however, it meant far more serious consequences. 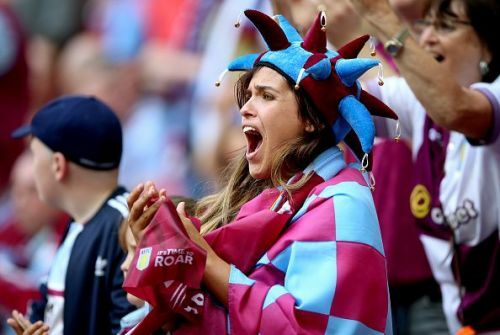 The defeat to Fulham at Wembley could potentially start Aston Villa on a very difficult path thanks to the financial position they are faced with. Once upon a time, they were champions of Europe, now Aston Villa are not fighting for titles, they're fighting for survival. 36 years ago Aston Villa were crowned champions of Europe beating the top teams in Europe at the time, most notably Bayern Munich in the final. The win was an incredible story, Villa had won Division 1 in England the year before, but no one expected them to win the European Cup. Considering teams such as Liverpool and Nottingham Forrest were giants of football, another club from England breaking through for the first time to win a trophy was an astonishing achievement. Since this triumph, Aston Villa have not been able to get near this kind of success. Two League cup wins in the 1990's were the last trophies the club won but despite a lack of silverware, the club was faring well in the Premier League era. In large part, Aston Villa were a top half finishing club and while they never challenged for a league title or the top positions, their future in the League never seemed in danger. This was until Martin O'Neil was sacked in 2010. At this point, the decline really picked up pace. Randy Lerner was not well liked during most of his spell as owner of Aston Villa for several reasons, chief among which was the lack of investment he put into the team. In the following six years, the club had just as many managers and struggled to hold onto their best players with Ashley Young, Fabian Delph, James Milner and Christian Benteke all sold since 2010. Looking back, it is a surprise Villa lasted as long as they did in the Premier League, but at the end of the 2015-16 season, Aston Villa were relegated, winning just 3 games in total. This spelled the end for Randy Lerner's ownership of the club, as he sold the club to Chinese Billionaire Tony Xia. Relegation spelled the start of Aston Villa's financial decline as the club put everything into trying to get the club promoted back to the premier league as soon as possible. The massive drop in club’s revenue from TV deals and Premier League participation was no bother to Tony Xia who pumped money into the club, registering a nett spend of just under £50million immediately after being relegated. Notably, signings include Jonathan Kodjia, Ross McCormack and James Chester which alone cost over £40million. Transfer fees, however, do not tell the full story of Aston Villa's cash dump in the effort to get to the premier league, as the wages are even more of a concern. The Championship is not a rich league and wages are kept low in general by owners and board members to keep the club stable. Aston Villa did not follow this trend. According to the 'UEFA Club Licensing Benchmarking Report Financial Year 2016', Aston Villa's wage bill was an eye-watering total of £125 million, making their wage bill the 19th highest in the world. For a championship club this statistic is terrifying, especially when the year before they were 20th in the world. No club in the Championship is even close to Villa's spending and when it becomes a trend it can cause real issues long term. With an increase in spending, there needs to be an equal to the greater increase in revenue to balance the club financially. Barcelona may pay astronomical amounts in wages and transfer fees, but their global brand and constant success on the pitch mean this model is sustainable. Aston Villa gambled with high spending, hoping that this would bring them back up to the Premier League and the added revenue from this would balance the club financially. This has backfired enormously, so much so that in 2016, the club’s wages were a staggering 85% of the total revenue of the club. This is not sustainable and now is when Aston Villa pay the price. Spending £80 million in two seasons for no reward on the pitch can only lead to financial difficulty and that is what Aston Villa are up against. The club avoided a winding up order last week after being able to agree a payment structure to repay HMRC, this however, will result in the sale of some of the club’s best assets. Young Jack Grealish, one of the most talented players in the league last season is bound to move on, with the club seeking to sell the young midfielder and value him around £40 million, which would help a lot in getting the club in line with Financial Fair Play rules. On the other hand, with potential buyers knowing the kind of trouble Aston Villa are in, clubs are looking to score a bargain from Villa, knowing that Villa quite literally cannot afford to keep their best players. John Terry, who earned the highest amount wages at the club last season, has already left the club and he surely will not be the last. 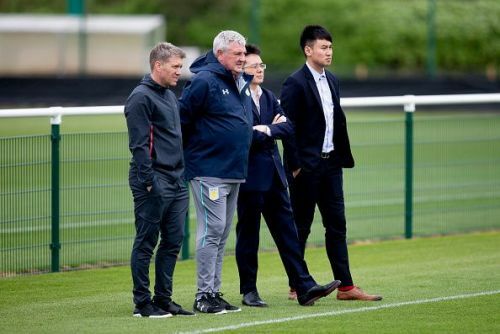 The club are determined to avoid administration and starting next season with a points deduction, therefore there will be much more business on players going out of Villa Park, rather than coming in. 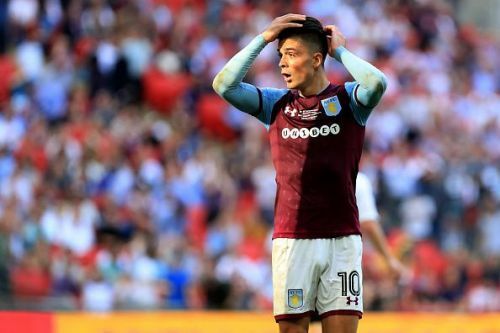 Aston Villa v Fulham - Sky Bet Championship Play-Off Final, Jack Grealish's last game for the club? So what does the future hold for Aston Villa? With the owner Ton Xia admitting that he would be open to selling the club and that the club needs a more balanced approach for the future, costs are going to be cut harshly this summer. With the sale of their best players, Villa will have to play remarkably to match their 4th place finish last season and fighting for the playoffs is potentially the best they can hope for. A 1-0 victory gave Villa the best moment in the club’s history, however the same scoreline against them at the hands of Fulham, maybe the start of a slow and steady decline for a once giant club in England.